South Africa has around 30.81 million internet users and its internet penetration is at 54%, 1% higher than that of China, which has 800 million internet users! This means that per capita, South Africa has approximately the same number of internet users as the Asian giant. China has however recently opened its second Internet Court. After the success of the first Internet Court, situated in the e-commerce hub of Hangzhou, China has recently opened its second Internet Count in Beijing and is already planning its third branch in Guangzhou. administrative disputes arising from internet administration. Beijing’s new Internet Court will be open 24 hours a day and is reportedly staffed with 38 highly-experienced judges, sporting an average of 10 years trial experience each. What sets the Hangzhou Internet Court apart from a conventional court is its online litigation platform, on which people can sue by registering with their phone numbers. The system will have access to the user’s identity, online transaction records and other kinds of personal data, keeping the whole process of registering for a new case under five minutes. After the case is established, the accused will receive a notification and he or she can log in on the platform for a rebuttal. Trials and verdicts have shifted from face-to-face in a courtroom to online video chats, which significantly shorten the trial duration saving administration costs. Users of the system can even pay fees via e-wallets including Alipay. The court operates at the district level, so litigants who disagree with rulings may appeal to Beijing’s Intellectual Property Court for IP-related verdicts and to Beijing’s No 4 Intermediate People’s Court for other verdicts. In its first year of operation, the court in Hangzhou has dealt with more than 11,000 cases, of which over 9,600 were concluded. The average duration of a trial is 38 days, about 50 percent shorter than conventional court – a whole lot quicker than South African courts. The litigation platform of Hangzhou Internet Court gives clear and concise steps of the proceedings. It is, however, important to note that taking part in these virtual proceedings is voluntary. If the defendant objects to online proceedings, the proceedings will be conducted conventionally offline. To file a case, plaintiffs must first have their identity verified either through Alipay (Alibaba’s payment service), or by physically showing an ID to a court clerk in Hangzhou. Once filed, pre-trial mediation is attempted through internet, phone, or videoconference, and if a resolution is not reached, the suit is formally submitted to the case filing division of the court, which is handled online. Individuals can also submit evidence and attend their trial remotely through their created cyber-court account. All data transmissions related to court proceedings are encrypted by Alibaba Cloud. These recent developments in China are interesting from a German perspective. Germany is currently introducing the “special electronic mailbox for lawyers” (besonderes elektronisches Anwaltspostfach) in order to enable electronic communication between lawyers and courts. The Facilitation of Electronic Legal Communication with Courts Act of October 10, 2013, stipulates that by 2020 at the latest, all lawyers, public authorities and legal entities under public law will be obliged to file all briefs, requests or other statements electronically with the courts. 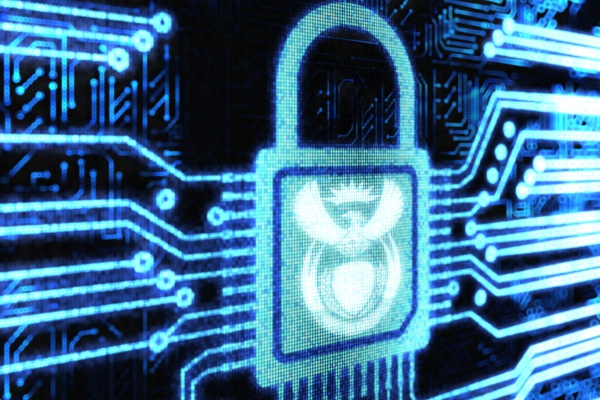 Will the South African legal system ever evolve to electronic filing of documents, let alone hearing matters over the internet? With more than half of South Africans, or almost two thirds of South Africans over the age of 16 having access to internet, this may not be too far-fetched. Apart from some obvious infrastructure problems – such as the high cost of data in South Africa the fact that this court is voluntary, disputes arising out of internet usage should be able to be decided over the internet in the near future. The above does not constitute legal advice and, if you do have an issue relevant to this article, please contact our firm for an appointment.